So the #savefabric fight is still rolling on and like any PR campaign the trick is being able to maintain the buzz and interest from start finish, which to anyone in marketing will tell you, is easier said than done. 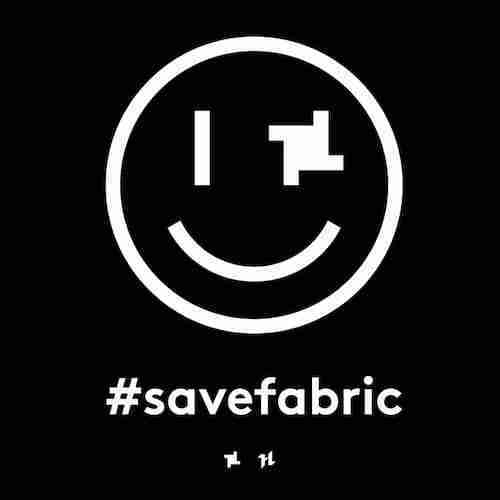 Fabric is now entering the third phase of this much protracted offensive and to keep the home fires burning they have announced, in association with Houndstooth, an 111 track compilation, titled, as you’d expect, #SaveFabric. The compilation features exclusively recorded music from 111 different artists, among which include: Addison Groove, Audion, Dusky, Todd Edwards, Fake Blood, Mathew Jonson, Nathan Fake, Paleman, Roman Flugel, SMD, Skream, Special Request, Stanton Warriors, Tuff City Kids, Appleblim, DJ Tennis and Shackleton. As im sure you’re aware the start of this campaign began when the iconic London venue had its licence revoked in September of this year in the wake of two teenage drug related deaths, and for it’s owners and supporters, will hopefully end with that decision being overturned come their appeal next month. Typically a club closure is about as surprising and insignificant as a Donald Trump twitter rant, yet with Fabric it has been a very different story. With 135,000 signatures of support and financial donations totalling £300,000 it is clear that Fabric’s closure is far more culturally significant than your typical sticky carpeted, WKD serving, high heel beckoning clubbing loss. And here in lies the key to this compilation, can Fabric like other iconic UK music venues, (Brixton Academy, Royal Albert Hall, Nottingham Rock City to name a few) establish a cultural based necessity for its survival? You have to think, looking at the evidence discussed above, that the answer to that question is a resounding yes, particularly when you consider that the iconic Berlin based equivalent ‘Berghain’ has recently been designated, in court, as a venue of High Cultural value. A ruling that, significantly, puts it in the same lower tax bracket as Berlin Theatres. Yet this is the UK we’re talking about, where councils and nightclubs mix about as well as your best local wedding DJ! The compilation will be released digitally on November 4th. You can pre-order it from the fabric website or Bandcamp.